He first ventured into to the world of fragrances in 1934. 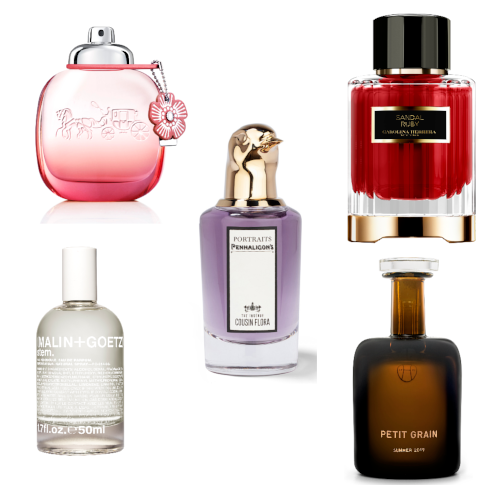 But the initial trio – Avenue Matignon, Air Jeune and Audace – had to be taken off the market (along with most fragrances) during World War II, due to rationing and restrictions on the import of luxury items. 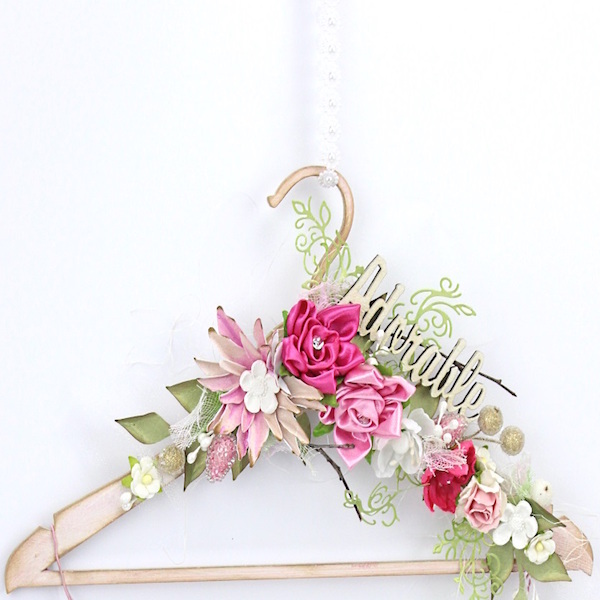 That powerhouse and perennial bestseller, Femme, first made its appearance in 1945. Rather scandalously, for the time, it was marketed with an accompanying range of stockings and lipsticks that left no doubt as to the hip-wiggling, seductive nature of the scent itself. Marcel had commissioned brilliant perfumer Edmond Roudnitska to create Femme as a fragrant tribute for his wife, Hélène Rochas. 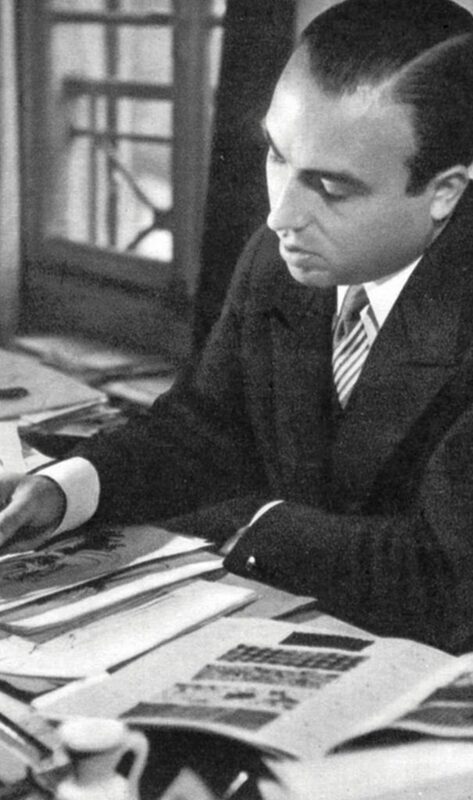 (Roudnitska would go on to compose further masterpieces, including Diorissimo for Dior, among others). With its deeply sensual notes of velvety plum – used for the first time in perfumery – on a spicy, oakmoss-laden base, it veritably vibrated with the curvaceous lines of the womanly bottle’s silhouette – based on the shape of Mae West’s infamous hourglass figure – and certainly lived up to Marcel’s belief that ‘One must be able to smell a woman even before seeing her.’ Many fragrances owe something to the now-classic fruity-Chypre Femme wiggled its way into creating – there’s an almost scandalous booziness with that plum which suggests licentious assignations and a definite confidence that few other contemporary fragrances dared follow so unashamedly. 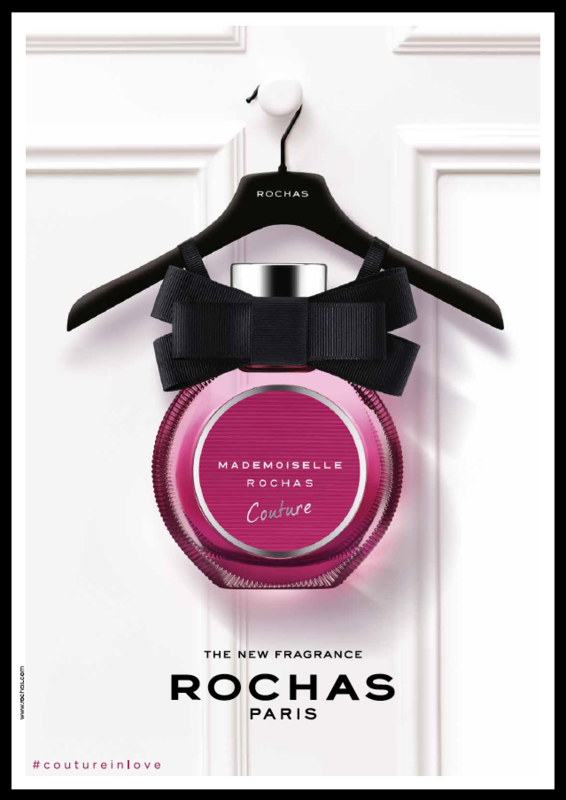 The fragrance division of Rochas became so successful it outstripped the haute couture clothing, and Marcel closed the doors of his fashion line in 1953, before sadly passing away in 1955. Hélène was widowed at just 30 years old, the strength of her Femme-infused spirit carrying her through the grief to takeover leadership of the house with its new fragrance-forward focus, leading it to become a multi-million dollar success. Under her watchful eye, some of the world’s most beloved fragrances were launched: the aldehydic lily of the valley in Madame Rochas(1960); Cologne-like, luminescent freshness of Eau de Rochas(1970) and opulent Oriental of Byzance (1987) stamping their mark and scenting the decades. Madame Rochas represents that era of elegance, of couture suits and proper handbags that clicked shut, matching lipstick and nail polish, an air of sophistication that appears effortless – and is oh-so Parisian in nature. Eau de Rochas is another fragrance still adored today – and way ahead of its time – a clean, zinging freshness that seems to fizz with every spritz. It’s the scent of exotic holidays, of Hollywood stars wafting bronzed limbs in silk kaftans – and in fact it was the first Cologne designed for women, an effervescent melange of narcissus, jasmine and rose shot through with citrus and verbena, which simply spells s-u-m-m-e-r for us, every time we wear it. 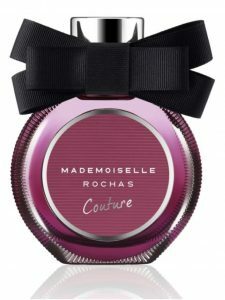 And we can see this unquenchable spirit of the House of Rochas reflected once again in the latest fragrances, most recently, brilliant perfumer Juliette Karagueuzoglou working her magic with Mademoiselle Rochas Couture – encapsulating the feeling of Paris at night with this eau de parfum; a deep, sensuous creation, it marries bergamot and pear with a heart of orange blossom, lily of the valley and heliotrope. Addictively delicious it finally seduces with musks, tonka beans and silky sandalwood, marking a return to the more voluptuous femininity of this heritage house.